Unsere Gruppe trifft sich jede zweite Woche dienstags von 18:15 – 19:45 Uhr. Unsere neuen Räumlichkeiten ab Januar 2019! We meet every second Tuesday at 6:15 -7:45 pm. We are an open group, everyone is always welcome! If you are interested and if you have questions, feel free to send us an e-mail – also for inclusion in the mailing list to get information about the next meeting. This book club focuses on the reading and exploration of the book Joyful Wisdom by Mingyur Rinpoche. 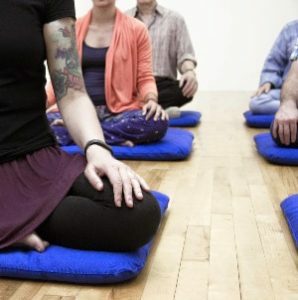 Each session includes a period of meditation practice and discussion specific to the assigned reading in the book – these short texts will also be read to all during the sessions. Ideally, all participants should have read the recommended section prior to attending as it will help make this a rich discussion. 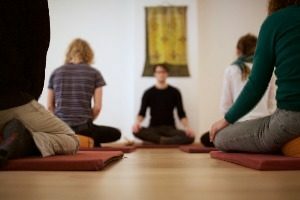 Like our weekly meditation group, we want this to be a safe place where people can share their genuine connection to and experiences related to the book. We will follow the JOL Book Club Program, as developed by Tergar International. 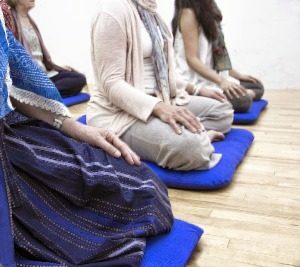 This Book Club is a wonderful introduction to meditation for beginners as well as a deepening course for more experienced practicioner. Under Mingyur Rinpoche’s guidance, Tergar International has developed a Meditation Practice Group program to support groups that meet regularly to learn, discuss, and practice meditation, but who do not have access to a trained Tergar practice leader, facilitator, or instructor.